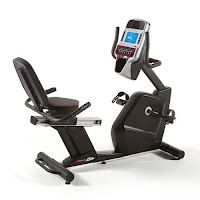 Health and Fitness Den: Comparing Sole R72 versus Sole R92 Recumbent Exercise Bike, What's the Difference? 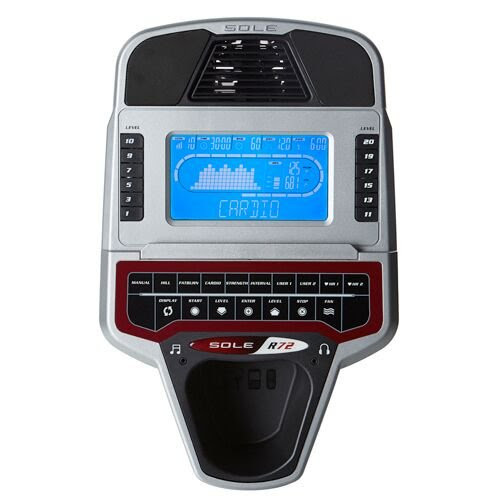 Comparing Sole R72 versus Sole R92 Recumbent Exercise Bike, What's the Difference? The Sole R72 and Sole R92 Recumbent Exercise Bikes combine quality build and an ergonomic design for comfort, together with a great range of features to keep your workouts varied and motivating. The Sole R72 and R92 Recumbent Bikes feature a large comfortable adjustable seat with backrest for support and correct posture, with ergonomically designed pedals which have a 2 degree inward cant to minimize strain on your feet and knees. The Sole R92 is the higher-end model over the R72 recumbent bike, constructed for more intensive use with a heavier flywheel (26 lb compared to the R72’s 18 lb). Both bikes offer 1-20 levels of smooth and quiet ECB (Eddy Current Brake) magnetic resistance with quick-touch controls for easy adjustments. The Sole R72 and R92 both offer a variety of 10 pre-set workout programs including hill and strength training. There are 6 standard programs, 2 heart-rate programs, and 2 custom programs. You can choose to follow the set programs or design your own and pedal at your own pace. The consoles on both the Sole R72 and R92 feature a blue backlit LCD screen which differs in size between the 2 recumbent bikes, with the R92 having a larger screen at 9” compared to the R72’s 7.5” screen. Both display motivating workout stats such as time, speed, distance, calories burned and heart rate. Heart-rate can be monitored in 1 of 2 ways, either via the built-in pulse-grip sensors in the handlebars or via a chest-strap. A chest-strap heart-rate monitor is included with the Sole R92 but not with the R72. Additional features found on both the Sole R72 and R92 Recumbent Bikes include a cooling workout fan, an MP3 compatible sound system, and a convenient water bottle holder. Both the Sole R72 and R92 Recumbent Bikes are constructed with a strong and durable steel frame with aluminum shroud. There’s a slight difference in the overall size and weight of the machine and in the user weight capacity allowed for each bike, with the R72 allowing for users up to 290 lbs in weight while the R92 allows for slightly more up to 325 lbs. Fitness tip: Just a 30 minute cycle ride could burn between 207-345 calories for women, or 252-420 calories for men, depending on the intensity of the cycling. Recumbent bikes offer a more laid-back feel to exercising, yet still give a good cardio and fitness workout that can help you to tone up and burn calories. The step-through frame design of recumbent bikes makes them easy to get and off, and the seat with backrest is comfy and provides back support. These types of bikes are suited to people of all ages and fitness levels and are particularly ideal for people who have lower back problems or who are recovering from injury but have been advised to exercise. It’s easy to see why people who exercise on a recumbent bike are more likely to stick to and achieve their fitness goals in the long term. I don’t think you’ll be disappointed with either of these 2 Sole recumbent bikes. They are both built to high specifications and offer the same amount of resistance levels and programs to keep your workouts motivating and varied. If you’re likely to use the recumbent bike for light to moderate use, then opt for the Sole R72 – it will be more than adequate for your needs and costs less than the R92, saving you some hard-earned cash! 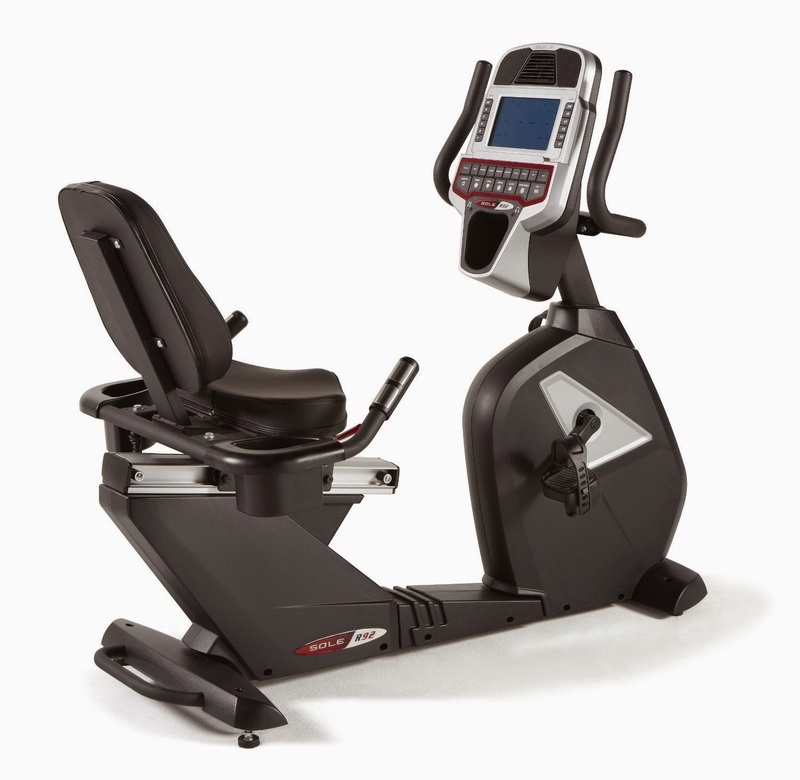 If however, you’re likely to use the recumbent bike more intensively, then opt for the more heavy-duty Sole R92 – you’ll get the more heavy-duty flywheel as well as the added bonus of a larger display screen on the console.